A sweet-natured dog name Aurora was rescued this week after being subjected to a shocking act of abuse. Fortunately, despite her disturbing ordeal, Aurora's gentle spirit - and her natural beauty - were unmarred. The rescue came on Monday, after sheriff's deputies in South Carolina were alerted to a pet who had been seen wandering though a Darlington County neighborhood. 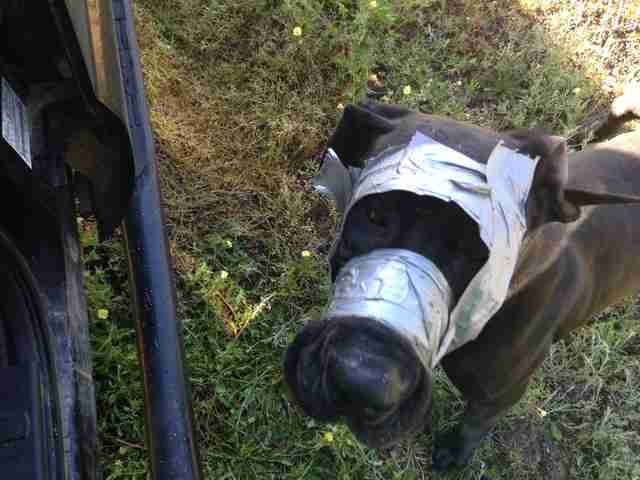 When they arrived, they found Aurora, abandoned and alone, with duct tape tightly wrapped around her head and muzzle. It's not clear how long she'd been in that state, but help couldn't have arrived soon enough. 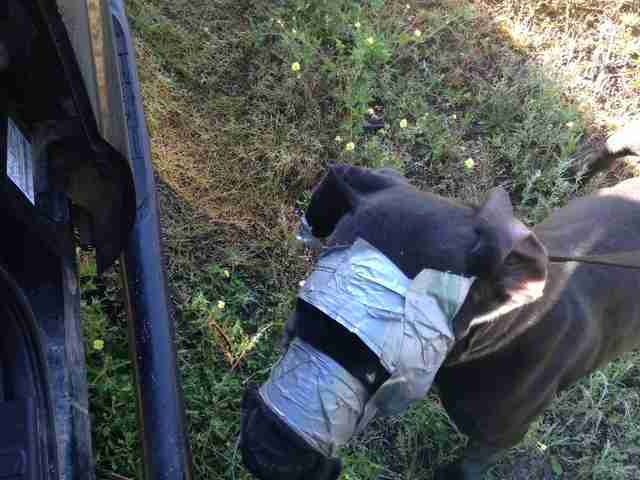 The deputies were able to remove the tape without injury, after which they transferred the dog to a local vet clinic. There, rescuers quickly discovered just what a precious animal she really is - making the abuse against her all the more unfathomable. "Here is Aurora's BEAUTIFUL face! 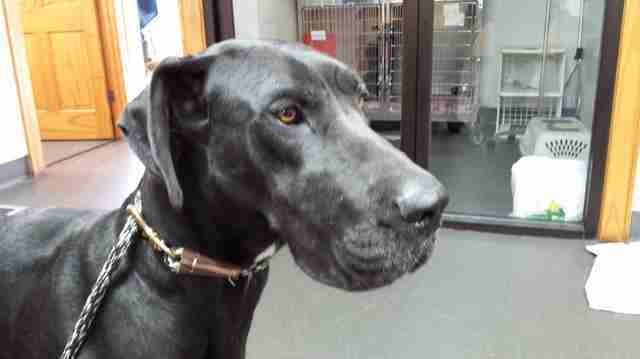 The vet feels she is a pure bred Great Dane. She is one tall and proud lady! Estimated to be 3-4 yrs old, she has a sweet, gentle disposition and has the patience of a saint," staff at Darlington County Humane Society Rescue wrote online. Sadly, Aurora is not totally in the clear. 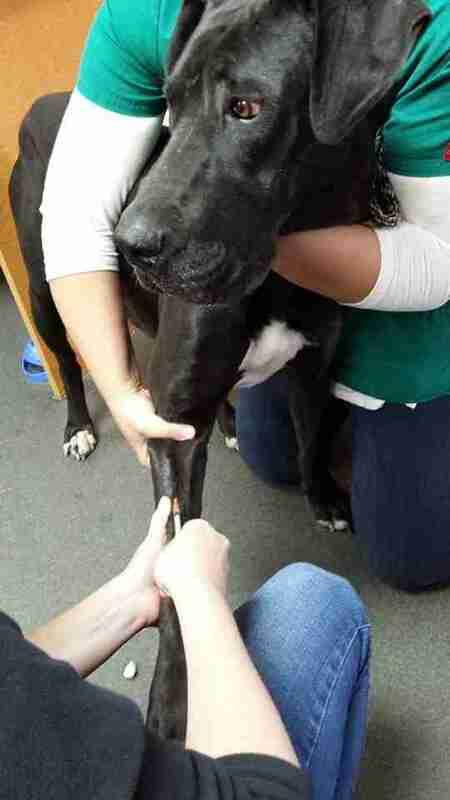 She was found to be suffering from several health conditions, including heartworms, and will require expensive treatment to return to full health. With any luck, once she's recovered, she'll be adopted out to a loving home. To help cover Aurora's medical costs, consider making a donation here. You can learn more on Darlington County Humane Society Rescue's website. Authorities, meanwhile, are investigating this case and are appealing to the public for help. If you can provide any information, please contact the Darlington County Sheriff's Office at 843-398-4501 or 843-398-4920.